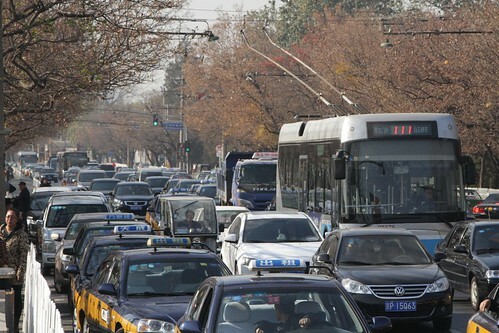 Trolleybuses normally require a web of overhead wires in order to supply power to the electric vehicles that run beneath them – but in the streets of Beijing’s Wangfujing shopping district, they aren’t necessary. 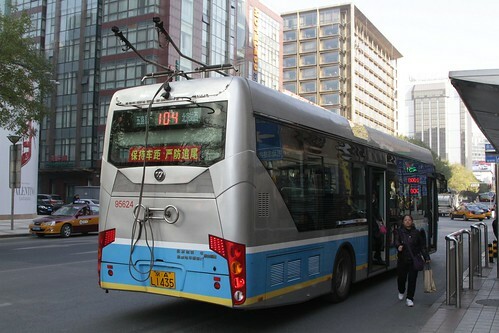 The buses drop their trolleypoles. Having switched to battery power instead. 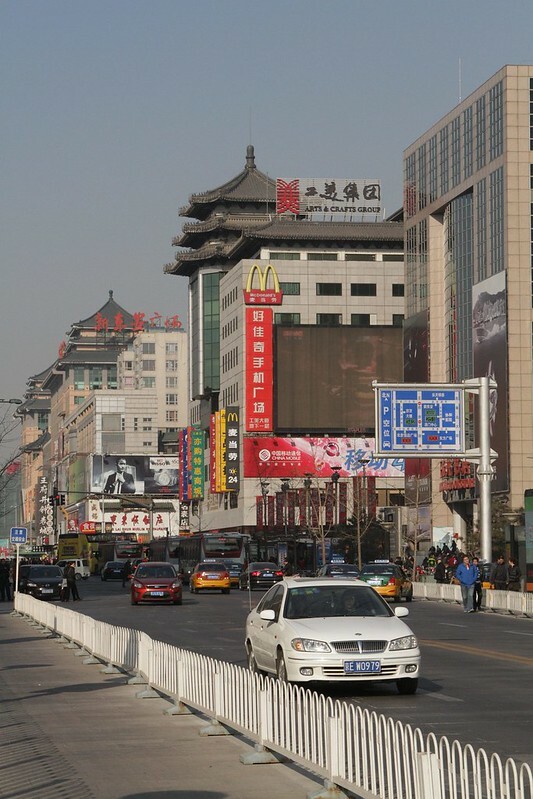 Then put their trolleypoles back up elsewhere in the city. 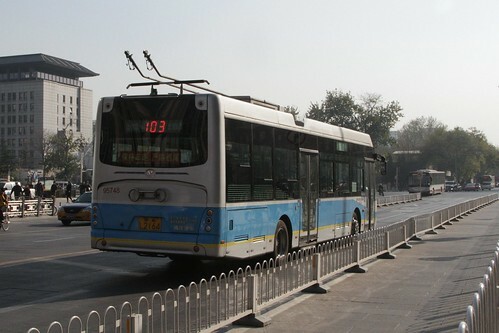 I found trolleybus routes 103 “Beijing Railway Station – Beijing Zoo” and route 104 “Beijing Railway Station – Wuluju” running through the Wanfujing pedestrian zone in battery mode – this list by Zhiyuan Jiang details Beijing’s other trolleybus routes, some of which also use battery mode in pedestrian areas. 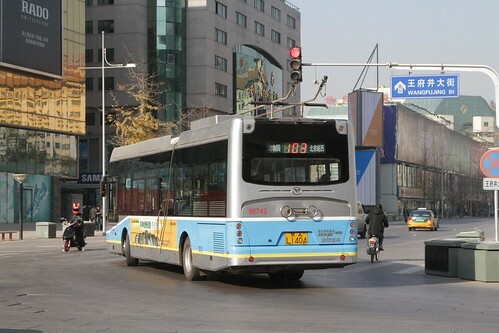 The Beijing Bus article at Wikipedia has more detail on the the history of Beijing’s trolleybuses. 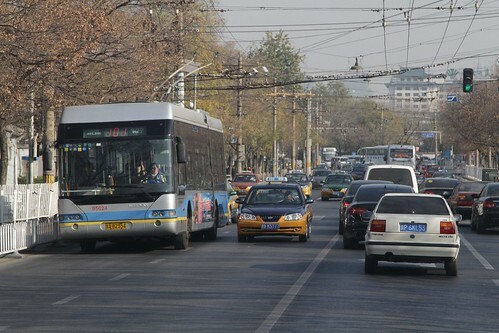 This entry was posted in Transport and tagged Beijing, buses, China, electric vehicles, trolleybuses. Bookmark the permalink.